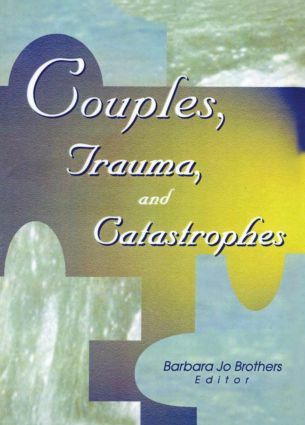 Couples, Trauma, and Catastrophes examines the issues and hardships couples face when dealing with traumatic circumstances, such as illness, child abduction, or the death of a child. From case studies and recommendations from other therapists, you will learn how to better help clients identify sources of pain and strength and help their relationships or marriages endure crises. Observing theories from Virginia Satir and Viktor Frankl, this book offers exercises that couples can perform in therapy or at home that will help them cope with trauma. Giving you suggestions and theories that can be used to fit a variety of situations, Couples, Trauma, and Catastrophes provides you with proven, successful methods that will increase your effectiveness with clients dealing with catastrophes.